If you care about your food preservation and presentation, you can’t afford to drop the ball on your ice. The Manitowoc RFS-1200 modular ice flaker will hustle for you, producing up to 545kg of ice daily to keep your products inviting and fresh all day long. No bruising or damage thanks to the 73% ice to water ratio, which makes this ice soft and malleable. This model has been fitted with resistant stainless steel and high load capacity bearings for a dependable and long-lasting service life at your side. 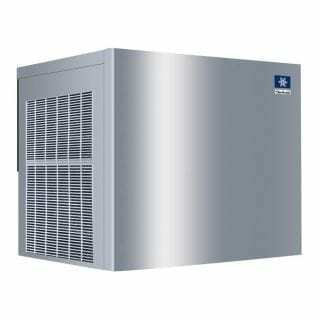 Besides, improvements in cleaning and installation throughout the RFS range make this ice maker straightforward to own and operate. This standard width machine (760mm) couples seamlessly with standard width bins, without the need for an adapter. A: The warranty 3 years on parts, 2 years on labour; 5 years on parts and 3 years on labour for the compressor. A: Yes, this ice machine requires to be acid washed and sanitised regularly. 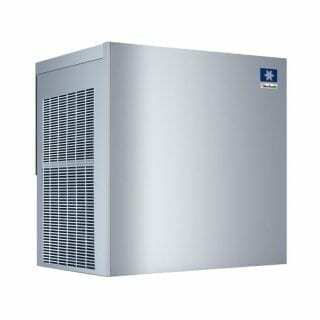 We recommend cleaning the condenser monthly and the ice machine itself at least every 6 months. Check our Cleaning Products page ice maker cleaners.